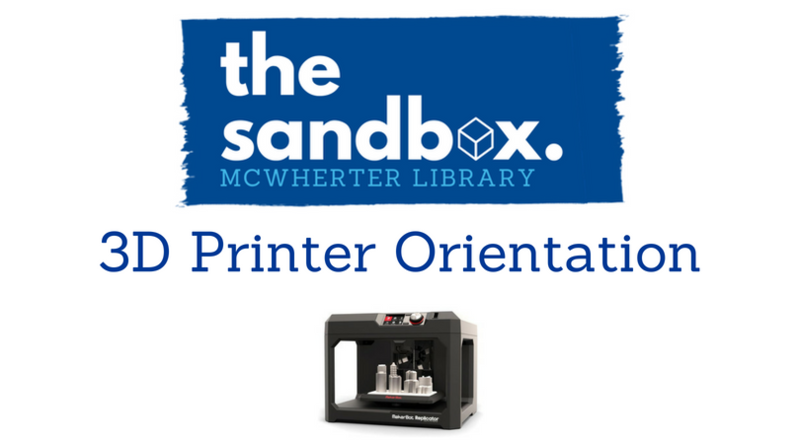 Reserve your spot for a 3D printer orientation. We have 2 Makerbot Replicator printers. This orientation will show you how to use the printers and how to reserve the printers. You may not reserve/use the 3D printers without first taking this orientation.